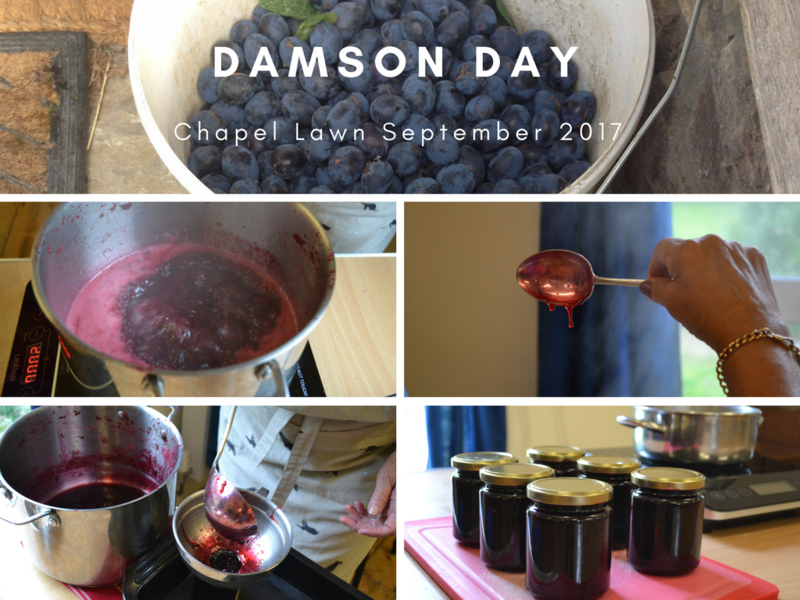 We’ve had a bumper crop of damsons at The School House B&B this year, so there’s been a lot of culinary activity over the past few weeks. We even had our very own ‘Damson Day’ last week, hosted by preserve guru Vivien Lloyd. 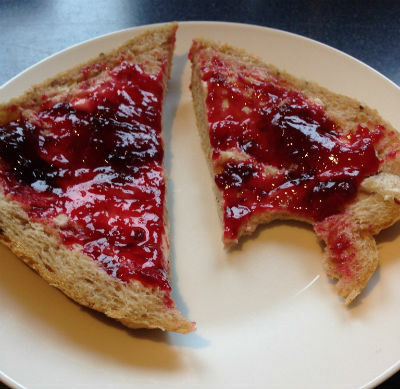 Vivien travelled up from Somerset to take 11 of our local WI ladies through jam, chutney and ice cream-making. It was an excellent day and thoroughly enjoyed by all. As well as the Damson Day delights, we had a yummy damson and apple (also from our own tree) crumble for Sunday lunch at the weekend. Not forgetting the large Kilner jar of damson gin in progress – though that won’t be ready for consumption for a few months yet! I think I’ve become addicted to the smell of damsons. Whenever there is a pan of damsons on the hob, the air is filled with a delicious plummy aroma – you can almost taste it as the fruit simmers on the hob. If only these photos were scratch ‘n’ sniff! The colour is just stunning – a rich, deep pinky-purple like plush velvet…and it is very, VERY sticky! 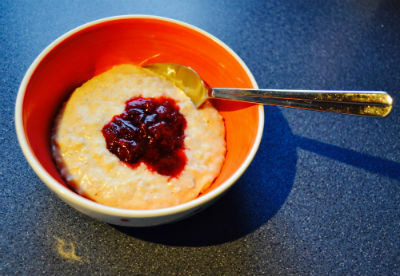 So, if you fancy some damson jam on your toast or a spoonful of warm damson puree on your porridge, you’ll be in for a treat at The School House B&B.